NorseCare appreciates that embarking on a new career, whether you have care experience or not, can raise a number of questions and have therefore prepared this Frequently Asked Questions page to offer guidance through our recruitment process. If you cannot see the answer to your question, please visit the Contact us page for details of how to get in touch. 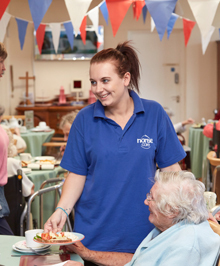 NorseCare have 35 establishments across Norfolk comprising of Residential Care Homes and Housing with Care Schemes; we are Norfolk’s largest care home provider. 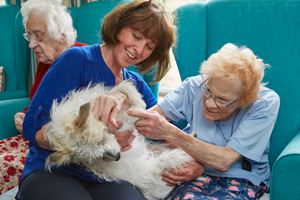 Our Care Homes provide care and support within a homely residential setting while our Housing with Care schemes provide people with care and support when needed, along with the independence of living in their own flat under a tenancy agreement with a housing provider. For information on homes and schemes in your area, please click here. If you haven’t managed to find a suitable vacancy this time, you can create a profile by visiting our register page and completing the required information. Doing this will allow you to sign up to our job alerts, notifying you when a new vacancy matching your criteria is added. Do I need experience to work for NorseCare? No, NorseCare offer full training to all new staff. All new starters who complete our induction programme will achieve the industry recognised Care Certificate. When recruiting staff, NorseCare look for caring, passionate people who share our company values. No, as long as you can get to and from your place of work for the times you are asked, you do not need to drive. Staff employed by our Shared Support Team cover multiple NorseCare establishments and therefore may need to drive, depending on the locations they have agreed to cover. How old do I need to be to work for NorseCare? NorseCare can employ staff from the age of 16 however, 16 – 18 years olds must be working towards a qualification relevant to the role they are undertaking. NorseCare offer apprenticeships in Health and Social Care and Business Administration. For more information about our Apprenticeship Programme please click here. Once you find a vacancy you wish to apply for, you can complete our online application form by clicking Apply Now on the advertisement. To search all of our live vacancies click here. You can also apply by completing a paper application form and taking it into our homes and schemes. To request a paper application form please contact NorseCare’s Recruitment Team on 01603 894269. Job alerts can be set up in your account profile. If you require assistance, please contact NorseCare’s Recruitment Team on 01603 894269. Can I amend my application form after I’ve submitted it? Yes, you can amend this by logging back into your profile but only prior to your application being sent to the Hiring Manager. Applications are sent every Friday. After you have been offered a position at NorseCare, your Manager would then ask you for the contact details of three referees. This information is then passed onto NorseCare’s HR Team who then ensure that your references are obtained. Yes you may apply for multiple positions, however you must meet the criteria of each of the posts, as detailed in the job specifications. Can you explain the interview process to me? Once we have received your application and it has been short listed, you will be contacted to invite you to attend an interview. On the day of the interview, we would ask that you would bring identification documents to enable us to complete a DBS check and details of three referees. Click here for details of acceptable identification. You will be interviewed by a Manager and Deputy Manager or Team Leader. You will be asked questions about yourself and what skills you have that would make you suitable for the role. You may also be given a tour of the home and have an opportunity to meet some of our residents and tenants. I pay for the DBS update scheme, do I still need to apply for a new one? If you pay for the DBS update scheme and it passes the required criteria, it isn’t necessary for you to complete another DBS application however, under certain circumstance we may ask you to complete a new application. NorseCare pays for all DBS applications. I need help applying for my DBS online, who do I contact? Please contact NorseCare’s HR Team on 01603 894610 and they will be happy to help you. You can also contact your Manager who will be able to provide you with a guide on how to apply. I have a previous conviction, can I apply for a position? Our care positions are exempt from the Rehabilitation of Offenders Act 1974. This means you are required to declare any prosecution, caution or bind-over you have even if they would otherwise be regarded as ‘spent’ under the Act. Unfortunately, failure to declare a conviction, caution, or bind-over may disqualify you from appointment or result in the withdraw of an offer of employment if the discrepancy comes to light. Disclosure of a previous offence or conviction will not automatically make you unsuitable for employment. Is such circumstances NorseCare will carry out a full assessment of the disclosure, together with the role applied for. No decision, detrimental to your application will be made before an attempt to discuss this matter fully with you has been made. The actions of NorseCare in this matter are based on the DBS Code of Practice, a copy of which is available on request. NorseCare will not unfairly discriminate against an individual who has a criminal record. To this end a thorough explanation will be provided to all applicants whose application is in anyway effected by disclosures made. NorseCare has a policy on DBS and POVA checks and the Recruitment of Ex-Offenders, which is available on request. Please be advised that you must have a valid work permit to work for NorseCare and it is your responsibility to provide evidence of the work permit in line with current Home Office guidelines. I’ve worked for NorseCare before, can I apply for a position? Yes, we welcome applications from previous employees. Any re-application would be subject to renewed pre-employment checks, which would include obtaining references, DBS checks and providing evidence of legal working. My friend/family member works for NorseCare, can I apply for a position? Yes you can however, we are unable to employ family members or those in close personal relationships within the same establishment. We do encourage those who have family members already working at NorseCare to apply for roles in different homes and schemes. For details of NorseCare’s establishments, please click here. NorseCare operate a reward scheme for employees that refer friends or family members for positions in our establishments, for more information please contact the Manager or Business Administrator in the establishment to which you have applied. I can only work part time, can I apply? Yes, we offer a range of both full and part time positions over days and nights. We also have a range of Casual roles, which enable you to work as an when you wish. I’ve been offered a position, how long will it take until I can start working? You will be sent confirmation of your offer in writing, this letter advises that the process can take a number of weeks therefore; we recommend that you do not resign from your current post until we have received all satisfactory clearances and you have been notified of your start date by the Hiring Manager. I would like to develop my career, will NorseCare support me? We offer our employees a range of opportunities to progress their career within NorseCare. For example, we have a Talent Programme, which enables employees to strive towards management roles within our homes and schemes. We also offer a range of Diploma’s and will support you throughout your learning journey. For further details of our Learning & Development programmes click here.